The responsibility of organising training days, office events, drink nights, and meetings can be incredibly difficult, especially when it's left in the hands of a single person. Organising and planning any type of event requires a lot of preparation, effort, and time, all of which become maximised when planning for a large company. 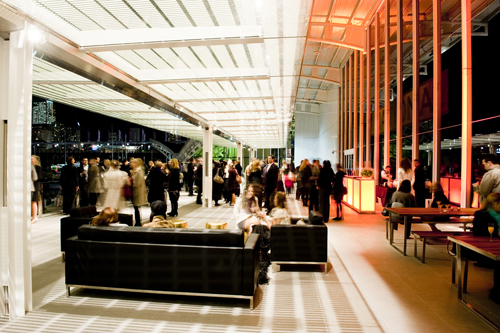 Fortunately, there are several tips you can follow to make office event planning easy. With so much going on, it can be difficult to keep up with everything. From board meetings to budget planning to finishing your daily duties, planning an event requires much organisation, and this organisation runs even deeper when planning multiple events. To help ensure everyone is on the same page regarding the events, you can use Google Calendars. 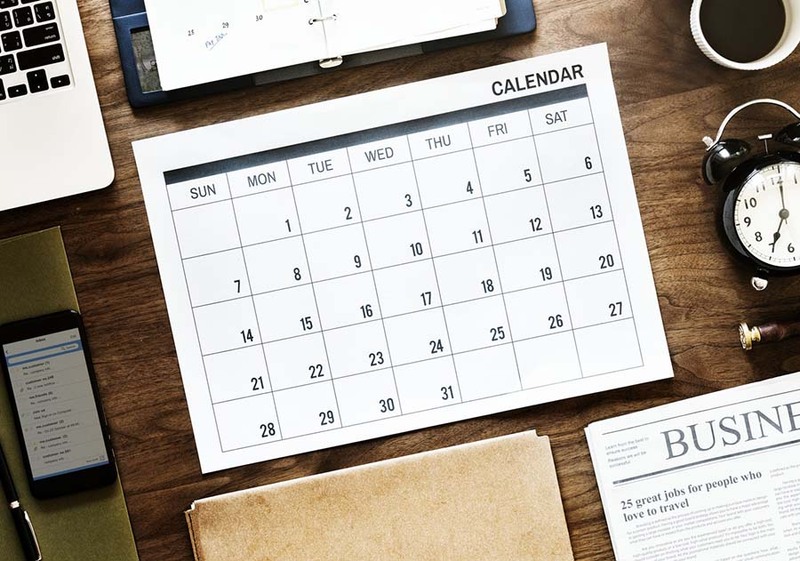 Not only does it allow you to share event dates with everyone involved in the event, but it also automatically updates changes across everyone's calendars when you have to alter a date for a meeting or activity. Since changes are very common when planning an event, you will want to send a memo to everyone to check their Google Calendar daily for changes. This enables you to rest assured everyone is made aware of the changes without you having to send out individual updates. 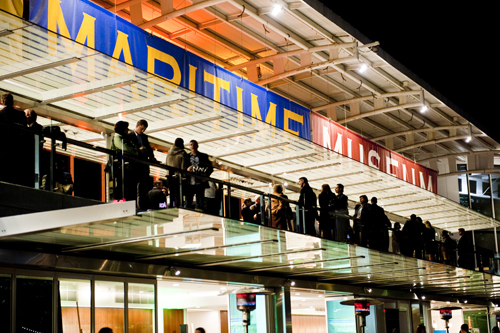 It's never too early to start planning for an event. Once it is confirmed the event is going to be hosted, you need to start planning. The larger the event, the more time it is going to take to properly plan for it. Even small events can take months. Large ones tend to take 12-18 months, with some taking multiple years to plan for. One of the most important parts of planning early is to secure vendor contracts and stay in contact with the vendors to ensure they are up to date with the latest event information. Also, when planning, it's good to look back over your past events and pinpoint the vendors and caterers you were pleased with. You can reach out to these companies again and ask for their services. From early planning to using checklists to using Google Calendars, all of the tips mentioned above are great starting points for making sure your next big event is a success. 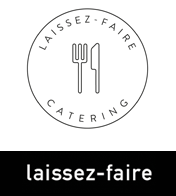 For more information on planning your menu for your next office event, contact the expert chefs at Laissez-faire. If you think it’s too early to be planning your end-of-year office Christmas party then you’re wrong! The holidays may be 10 months away but now is the best time to start thinking about it and booking everything in. But be warned: other companies are doing the same thing, so book your catering and venues as soon as possible! The earlier you start to plan for your corporate Christmas party, the more options will be available to you. It’s all about the feeling! Ask your coworkers what they thought about 2015’s Christmas party. Chances are there were some things they loved and some things they think could be changed. Use their feedback as a jumping off point for planning the 2016 party. What makes your Christmas party different from all other parties your employees have attended? Keep in mind no amount of good music or skilled acrobatic entertainment can hide bad food or a wrong choice of venue. Everything needs to be up to standard to create an overall successful feeling. This feeling can be achieved by forging connections that speak to the culture of your company and employees. For example, a geeky theme for an IT or web company could be a huge hit. If the entertainment and service reflect the desires of the company and workers, you can expect good feedback after the event. Choose a date that won’t interfere with family celebrations or vacations. The date is perhaps the most important thing to get right, as you’ll want as many employees as possible to make it to the event. You’ll also be making plenty of calls too to the venue provider, the caterer, the entertainer and to other miscellaneous event providers. You’ll need to give these contacts a date for your party so they can plan accordingly. The office is first and foremost a working environment. If possible, book a trendy venue for the party. Your workers should feel like they are part of something special, not just having drinks at the office. Remember that venues book fast, so decide now and have it marked for your event. Choose one that is accessible, big enough to accommodate all of you and one that suits your party of choice. Since you’re booking early, there is a chance you will be getting a discount on your venue and the facilities it offers. Impressive does not mean expensive. Your caterer can still create interesting food without you going over the budget. You can design your menu based on the party theme. Other guests would appreciate different food stations while food trucks can also be a hit. Of course take into consideration dietary and health requirements of your guests. Most caterers will adjust to these requirements. Download examples from our extensive range of menu options. It’s a Christmas party; people will be hoping to unwind and have fun. Diversify your bar offerings or choose one signature cocktail to stay within budget. Check out our cocktail and refreshments menus for some thirst-quenching ideas. Make it festive with a hint of professionalism. Use lighting to create the kind of mood you want. Your playlist could be a mix of traditional holiday songs and popular music. You can opt for a live band or use the sound system. Of course no event is easy to put together and it will probably take you more than 5 steps. That’s why now is the best time to start if you are hoping for a memorable corporate Christmas party in 2016. The venue is one of the most important aspects of your Christmas party and your choice will depend on how many guests are attending your event and what kind of event it will be. If you have any enquiries about our menus, venues or planning your 2016 Christmas party, contact us here. Click on the banner below to access our Shared menu for some refreshing ideas for your Christmas party.